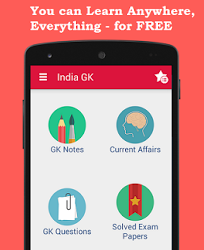 31st August 2016 Current Affairs MCQs, Quiz, Questions: Current Affairs for August 2016, Daily Multiple Choice Questions (MCQs) for India GK, World GK and current affairs with Collection of daily objective type Question by www.Indiagk.net based on General Knowledge (GK) and General Science (GS) Questions for UPSC, State PSC, SSC, Police exam, Railway exam, SBI, Bank PO, IBPC, SSC, LDC, UDC, Army, Airforce, Navy, Coast Guard, Bank Clerk, TET and all entrance examination with current affairs News, Multiple Choice Questions (MCQs) available on Website www.IndiaGK.net and Android Apps with daily updates:. Velankanni festival is held in which Indian state ? What does LEMOA stand for in the context of defence logistics? The 2016 BRICS Convention on Tourism will be hosted by which state of India? Supreme Court sets aside Singur land acquisition on 31st August in which state ? Which high-level committee has been constituted by the Indian Navy to find out extent of Scorpene Submarine data leak? India first-quarter growth in FY2016-17 was ------- % as per CSO ?